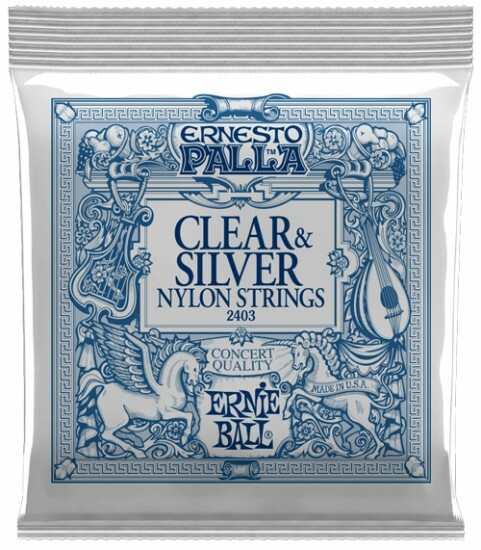 Ernesto Palla concert quality classical guitar strings are made of a solid nylon filament Silver fourth, fifth, and sixth wound strings are made of silver plated copper wrapped around a nylon floss core providing a smooth, rich tone. All Ernie Ball strings are precision manufactured to the highest standards and most exacting specs to assure consistency, optimum performance, and long life. Haven't put them on yet, but have used in the past and like them.